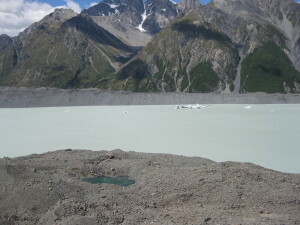 Roughly half way down Te Waipounamu, the South Island of Aotearoa New Zealand, lies Aoraki Mount Cook Mackenzie. Running up to the Southern Alps in the west and down to the edge of the plains in the East, it’s a region with a handful of small towns, few people and vast isolated farms. It’s a place that is rich with legends and ripe for adventures, where the earth is spectacular and the sky sublime. These high, remote lands were known only to Maori who had hunted there for centuries, until, in 1855, James Mackenzie fled there with 1000 stolen sheep. His story became legend and the ancient Maori hunting ground became the Mackenzie Country, home to hardy graziers, their tireless collie dogs and tough Merino sheep. We’ve traced Mackenzie’s trail up through peaceful Fairlie, then higher, through hills and bush, to Burke’s Pass. Beyond the pass the land flattens, the sky lowers and the light brightens. 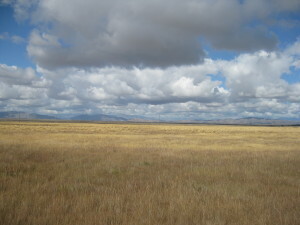 Golden tussock stretches away to the horizon on one side. Thick clouds race across the sky and roll down the hills on the other. There’s nobody here, no other cars – just us, following a straight, undulating line across the empty landscape. There’s nothing here but earth and sky. 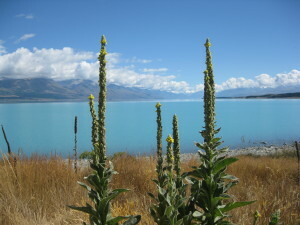 The road ends at Lake Tekapo. Framed by Mount John and the Southern Alps and coloured an unbelievable blue by the glacial rock-powder suspended in its waters, it gleams in its mountain setting like an opal. On the foreshore stands the little stone Church of the Good Shepherd, a memorial to the Mackenzie Country’s pioneers. Nearby, the faithful collie is immortalised in bronze. It’s a scene that has inspired countless artists and untold photographers. But Tekapo isn’t just a pretty face. In winter the skiing is superb on Roundhill and Mount Dobson. In summer the lakes are brilliant for water sports. The scenic walking, cycling and horse trails are stunning in any season. Most weather is fine for a round on the rugged golf course. 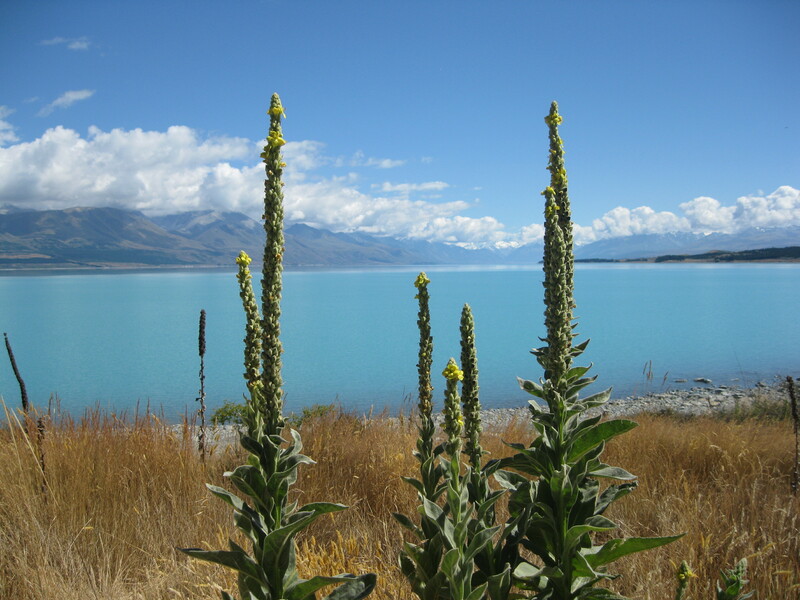 Any time is a good time to luxuriate at Tekapo Springs. On the summit of Mount John, the Astro Cafe, is, according to Lonely Planet “the best place on earth for a coffee”. The Good Shepherd Church, with its altar window overlooking the lake, is always the perfect setting for a fairytale wedding. On any clear night, though, the star attraction here is the sky. Above Aoraki Mount Cook Mackenzie are 4,367 square kilometre of pristine, Gold Status World Heritage Dark Sky Reserve, the largest, and one of only two, in the world. It’s a rare and magical sight. From the lakeshore we gaze spellbound at the thick clusters of stars, clouds of silvery dust and trails of vivid light and wonder How did it begin? Is there anybody out there? Where does it end? Mount John Observatory’s Earth and Sky Tours offer a closer look at the stars, through telescopes, with astronomers to address those big questions. Next morning, we’re deep in the Mackenzie basin. Sometimes a lonely mailbox, or a driveway marks a farm. Merinos, dark with summer dust, watch as we pass. The land slopes upwards and clouds, backlit by a blazing sun, hang low above it. 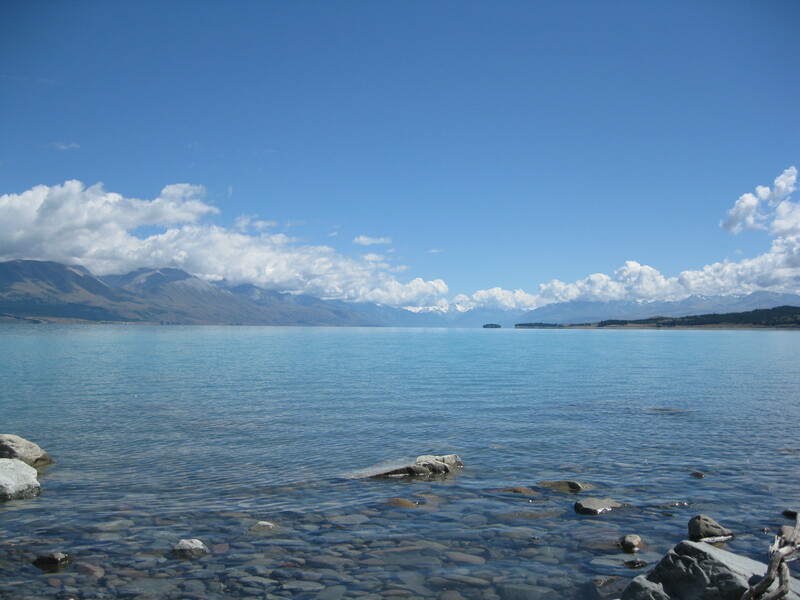 The road leads to Pukaki, the Long Lake of Middle Earth and a “star” setting in Peter Jackson’s The Hobbit. The lake is surreal, rock-powder blue, the land is muted gold and the distant hills are hazy mauve. Away at the top of the lake Aoraki Mount Cook towers against the sky, his summit crowned with a circle of cloud. It’s a movie dream scene. But beneath it lies the cautionary legend of Aoraki who was exploring here with his brothers, when a vicious wind froze them forever into the peaks of the Southern Alps. 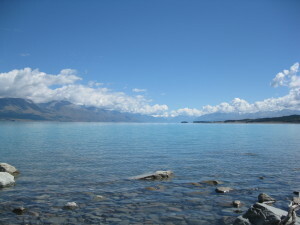 The land at the top of Lake Pukaki is Aoraki Mount Cook National Park. It is a magnificent but merciless terrain of soaring mountains, swift rivers, shadowed valleys, glaciers and capricious skies, where Aoraki reigns supreme. To anyone, it’s compelling country but to adventurers, it’s irresistible. On Aoraki’s formidable heights, Edmund Hillary honed his skills for the conquest of Everest. There are innumerable ways to adventure here. “Extreme” adventurers scale Aoraki and ski down. The extremely “soft” can enjoy views of Aoraki from the cafe at the Hermitage Hotel and adventure vicariously in the theatres of the Hillary Centre. 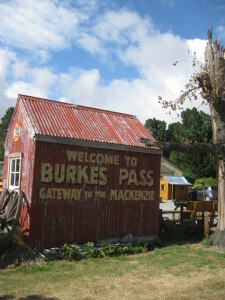 We take a family tramp up the Tasman valley. It leaves us breathless on a high rock ledge, not because of the steep climb, but because the milky glacier lake below, with its floating icebergs, is breathtaking. Leaving Aoraki Mount Cook Mackenzie, we pass through Twizel, once a booming Hydro town, now a quiet sanctuary and through country where canals spill into dams and pylons march across the land. Our journey ends at Omarama, gateway to the Waitaki Valley. Here the sky is high and clear and paved with thermal pathways, where adventurers from far and near, including living All Black legend Ritchie McCaw, come to glide. Here, the earth begins to change from gold to green and to fill with dairy cows and sinister ranks of giant irrigators.